Kevin Dillard has been taking amazing photos of cyclists for years. After a big alleycat, it is always a joy to spend time on the computer looking through his photos on Demoncats. Kevin recently released ‘Hip,’ a beautiful photography book showcasing some of his awesome photos. 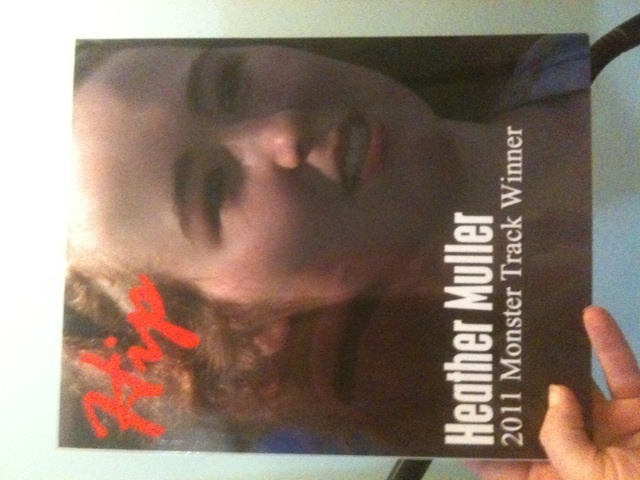 Kevin was so nice to make Crihs and me special editions of the book with our photos on the cover as a prize for Monstertrack 2011. This is truly one of the nicest prizes I have and is certainly a one of a kind treasure.